If you didn't have a chance to sample any of the local street food vendors at the Mobile Chowdown, you're in luck! 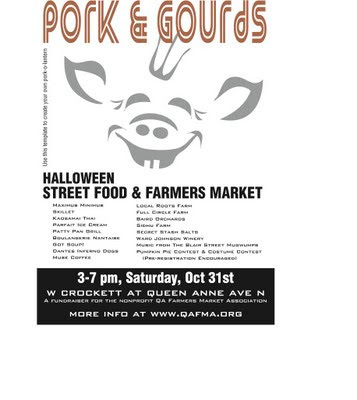 Maximus/Minimus, Skillet, Kaosamai Thai, Parfait Ice Cream, and Dantes Inferno Dogs will be at Pork & Gourds, the Halloween Street Food & Farmer's Market. Before you take the kids out trick-or-treating, stop by for some great food. Get more info at www.qafma.org.